Who didn’t fall in love with the Minions when we first saw them in Despicable Me? Now, they have a movie all of their own with the ever-so-talented Director Pierre Coffin voicing all 899 minions in this film. The story shows Stuart, Kevin and Bob being recruited by Scarlet Overkill, a super-villain who, alongside her inventor husband Herb, hatches a plot to take over the world. KIDS FIRST! Film Critic Kayla P. comments, “Minions is a wonderful summer movie. It is filled with action and funny moments that will entertain many.” See her full review below. Minions is a wonderful summer movie. It is filled with action and funny moments that will entertain many. 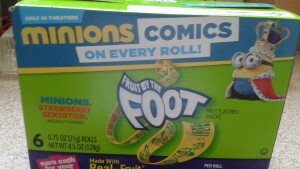 It begins with a single yellow organism at the dawn of time, which evolves into minions. The Minions travel through different periods of time and encounter people from T-Rex to Napoleon. The minions exist to serve. When they find themselves without a leader they fall into depression. Kevin has a plan to help his Minion friends find a new leader. He convinces Bob and Stuart (Pierre Coffin) to accompany him as they search for a new boss. Soon their journey leads them to villain-con and they find themselves with the biggest, baddest and the world’s first female villain, Scarlet Overkill (Sandra Bullock). My favorite part is when Bob is the King of England for a few hours and he has to make a speech. At the beginning of the speech he shouts, “King Bob!” and everyone starts to cheer for him. Then, he delivers his speech and, of course, he speaks in Minion-speak. Once Bob finishes his speech everyone is appalled and stands in complete silence. Bob then grabs the microphone and shouts, “King Bob”! Then everyone cheers. Bob sticks his hand out and drops the microphone and walks away. My favorite character is Bob. He is very adorable and he is the baby of the group. Bob is frightened by the real world and tries hard to be brave for his Minion buddies. Bob has a little stuffed bear name Tim that he is very attached to. Whenever he is in a fight and drops Tim he runs back to get him. The message of this movie is never give up! Throughout the movie the Minions are really determined to find themselves an evil villain to serve and when they do, they work hard to do whatever it takes to make their boss happy. Minions is a wonderful movie! I recommend it for boys and girls ages 5 to 18-years-old. I give this movie 5 out of 5 golden stars. 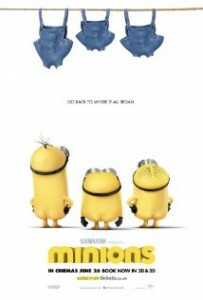 Minions opens in theaters July 10, 2015. Brisk Ice Tea is a Summer Must-Have! I recently received a few samples of the new flavors from Brisk Tea. My favorite is the Sweet Tea! It isn’t too sweet and it is just sweet enough! 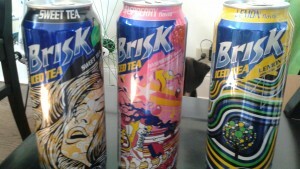 The Brisk Iced Tea in Lemon is also a hit with me! These two teas are my to-go-to drinks this Summer. 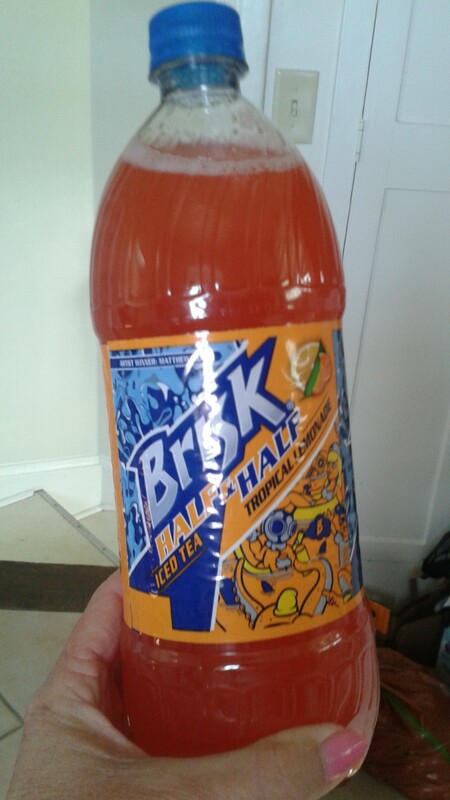 My husband and son also liked the Brisk Half & Half Flavors (Iced tea and Lemonade). 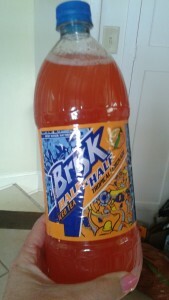 Look for them where Brisk products are sold! Don’t forget about Summer sweepstakes that Brisk is having! You may remember my posting last month. 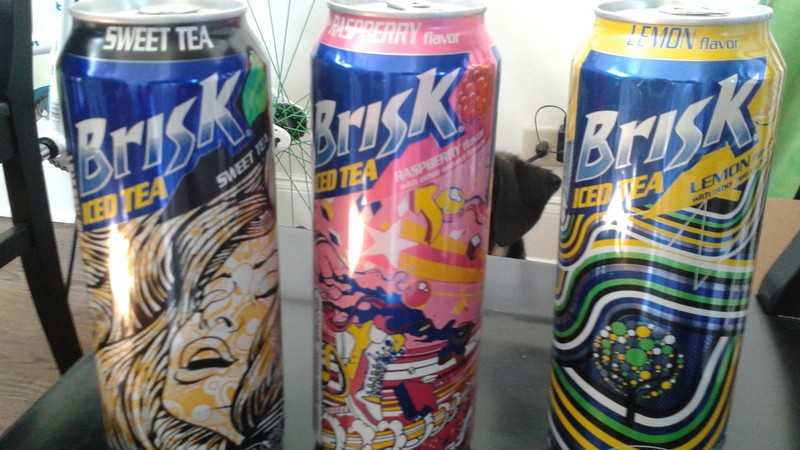 From now to August 9, consumers that spot any Brisk can art (mural, stencils and even the product) can take a photo of it, upload to Twitter or Instagram and use #ThatsBriskBaby #Entry to be automatically entered for a chance to win awesome prizes. 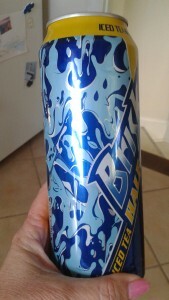 Consumers can even re-post an image of the Brisk can and use the proper hashtags to enter to win. General Mills Brings Minions Buddies in your Cereal Box for their Big Summer Movie Premiere Giveaway Opportunity! I received a wonderful package from our friends at General Mills that included a Box of Reese’s Puffs, Fruit By The Foot, a really cute Minion Buddy and a Fandango gift card to go see the new movie. We can’t wait to see the movie!! 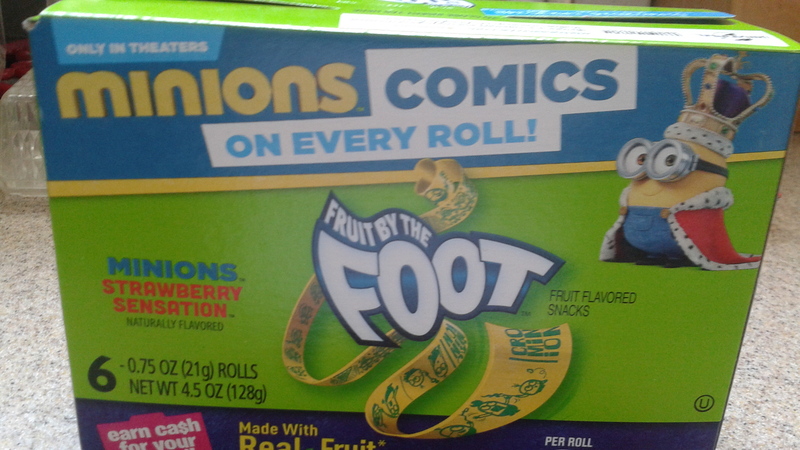 My son loves the Fruit by the foot with the Minion Comics on every roll. I think I will keep the Little Minion Buddy for myself! We have teamed up for a Giveaway to celebrate the movie coming out later this week! One winner will win the same package I received ( a participating General Mills cereal, a box of a participating Betty Crocker fruit flavored snack, an exclusive Minions Buddy and a $25 Fandango gift card to see the film in theatres this month. 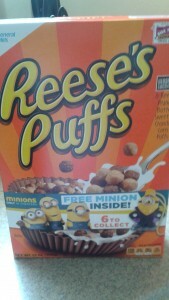 )To enter, leave a comment below telling us your favorite General Mills cereal and your favorite Minion’s name! Deadline to enter is July 14th, 2015 at noon PST. One winner will randomly be selected via Random.org. Self Disclosure: I received a free package as mentioned above to facilitate this post. JetBlue Hosts Book Party at Aquarium of the Pacific to Celebrate Summer Reading & Encourage Public Voting in First-Ever #BookBattle JetBlue and Random House Children’s Books’ Soar with Reading invites the public to enjoy sea life shows! Everyone is invited to join Soar with Reading, an initiative by JetBlue and Random House Children’s Books, to enjoy a fun-filled day celebrating reading at the nonprofit Aquarium of the Pacific. In honor of its 5thanniversary, Soar with Reading will host a book party featuring Shadow of the Shark, the latest book from best-selling author Mary Pope Osborne. – Interactive ongoing sea life shows, including a shark feed at 2:00 p.m.
– The chance to meet and take photos with character ambassadors Jack and Annie and the Aquarium’s shark mascot Sharky. This event is open to the public; regular aquarium entrance fees apply. In 2011, JetBlue launched Soar with Reading, a program designed to encourage kids’ imaginations to take flight through reading and get books into the hands of kids that need them most. Since its inception, JetBlue and their partners have donated over $1,250,000 worth of books to kids in need. This year, JetBlue is excited to again partner with Random House Children’s Books and Magic Tree House author, Mary Pope Osborne to encourage children to share the magic of reading. JetBlue is New York’s Hometown Airline™, and a leading carrier in Boston, Fort Lauderdale – Hollywood, Los Angeles (Long Beach), Orlando, and San Juan. JetBlue carries more than 32 million customers a year to 90 cities in the U.S., Caribbean, and Latin America with an average of 875 daily flights. For more information please visit JetBlue.com. Widely regarded among parents, teachers, and librarians for its power to instill a passion for reading, Mary Pope Osborne’s award-winning Magic Tree House series is an international phenomenon and has sold 130 million books worldwide since its debut in 1992, and has been translated into 33 different languages in over 30 international markets. There are currently 52 Magic Tree House books and 31 Fact Trackers, the nonfiction companions to the fiction titles. All Magic Tree House books are available in print, as ebooks and Listening Library audio books, which are all narrated by Mary Pope Osborne. MTH #53: Shadow of the Shark and MTH Fact Tracker #32: Sharks release in June 2015. To make a donation in support of helping save wildlife and wild places, please go to wcs.org. The Aquarium of the Pacific, a nonprofit institution, is dedicated to conserving nature and its resources by building interactions among people and is home to more than 11,000 animals. Beyond its exhibits, the Aquarium offers educational programs for people of all ages, from hands-on activities to lectures by leading scientists. It is a community gathering place where diverse cultures and the arts are celebrated and important topics facing our planet and our ocean are explored by scientists, policymakers, and stakeholders in the search for sustainable solutions. For more information, visit www.aquariumofpacific.org or call 562-590-3100.